While natural sunlight is ideal for plants, it's not always enough. Indoor grow lights can provide the full spectrum of color that plants need for growth. Today, you have a wide variety of artificial lighting options to choose from, and it's easier than ever to set up. Fluorescent lights work great because they stay fairly cool and can be placed close to plants and seedlings without burning them. Placing plants close to fluorescent lights gives them the light they need for optimum growth. 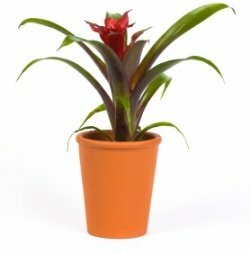 Some plants need to be 6 inches (15 cm) from the lights and others 12 inches (30 cm). Move plants farther away if the foliage looks scorched, curled or faded. Move plants closer if growth looks spindly. Cool-white tubes have an enhanced blue spectrum, which promotes foliage growth. Warm-white tubes provide an enhanced red spectrum that plants need for flowering. A good setup includes 1 cool and 1 warm fluorescent tube mounted under a reflector. The light system shown here provides brilliant, full-spectrum light. Pull chains allow easy height adjustment. This fixture is the best value I've found for this type of quality light system. It's a good idea to replace fluorescent tubes every year because -- even though they still look bright -- their intensity gradually fades. Need more space? These multi-tier grow light stands provide the room you need for your plants with built-in light fixtures. In addition to light, plants need at least 6 hours of darkness a day. (Plants need a rest, too.) Using a Power Strip with Timer saves you time turning lights on and off. Just set it and it'll come on at the same time every day. Here's a bright idea. Super-slim LED lights are hidden beneath shelves to give your plants optimum growth, without the bulky, industrial look of standard light fixtures installed in metal shelving. If you thought you didn't have room for indoor grow lights, or thought they are unattractive, this is the solution. This sleek shelf is an attractive addition for your family room, bedroom or any shady spot where you couldn't grow house plants before. You can even keep your herbs thriving throughout the year. Need more room for your plants? Get add-on shelves for this sunshelf base. You can stack two or three and grow a tower of plants in any room of your home. Remember that plants grown under indoor grow lights may dry out faster. Keep an eye on them -- you may need to water more often. Starting a few plants from seed? The tabletop light shown here provides just the right full-spectrum light that seedlings need to thrive, plus all the supplies you'll need to plant seeds. Once seeds sprout, snuggle them up to the light and watch how well they grow. You may need to adjust the height of the light fixture. Move it closer if seedlings look spindly. This type of full-spectrum light is also ideal for flowering house plants that need stronger light than they'll receive in the shorter daylight hours of winter. Some plants, such as African violets, will bloom nearly year-round when given enough light. Fluorescent lights are a great value for the high quality of light, low-heat output, and long service life they provide. Want more options for indoor grow lights? Take a look at indoor plant lights, and find more about fluorescent grow lights here. Sometimes it's enough to shine a small light on a single plant. Take a look at these cheap grow lights for easy options, whether you have one plant or a small indoor garden. The desktop light (shown here) is ideal for a single plant. 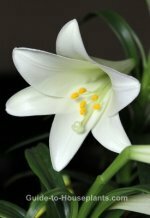 Light from a single compact fluorescent bulb sheds enough full-spectrum light to grow seedlings -- or to keep your tropical flowering plant in bloom through the winter months. Keep it on your desk, in the kitchen or on a bookshelf. This grow light has a small footprint you can squeeze in just about anywhere. I love this feature -- the height is adjustable so you can set the grow light close to seedlings or set it higher for a larger plant.